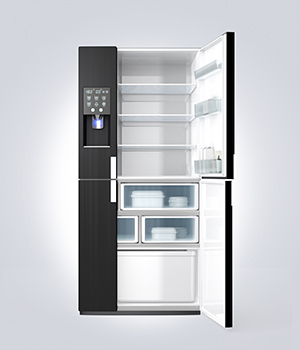 Have you woken up this morning to discover your refrigerator or freezer has broken? For the majority of homeowners, the refrigerator is seen as one of the most important kitchen appliances you can have. As your refrigerator is used on a daily basis to store meals, preserve ingredients, and keep food cool, it is important to make sure you take care of problems quickly. The last thing you need is to end up wasting money on spoiled food, or even suffering illness due to a drop in temperature. Our engineers are trained to repair all leading brand refrigerators and freezers such as Samsung, LG, Maytag, and more. Our service is fast, reliable and hassle-free.